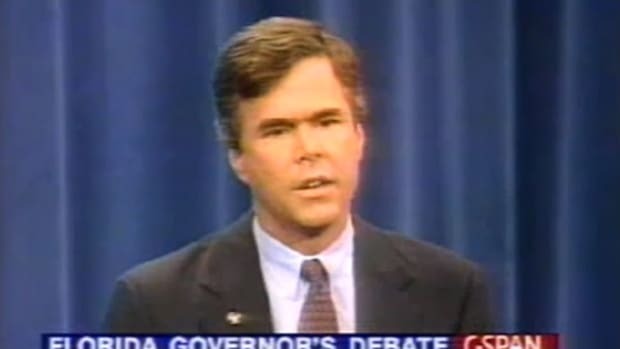 Just in time for former Florida Governor Jeb Bush's possible exploration of maybe running for president in 2016, we present the very best of Jeb's made-for-campaign-ad gaffes. 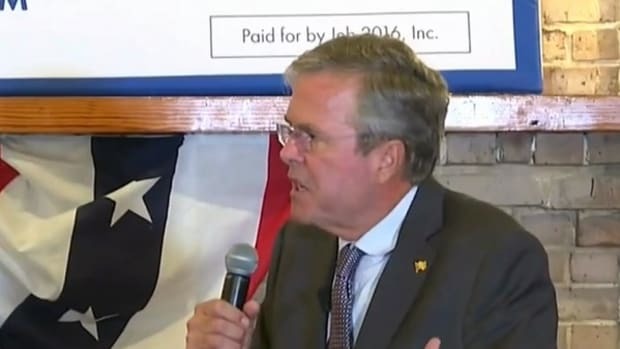 Former Florida Governor Jeb Bush made huge news on Tuesday by announcing, on Facebook. 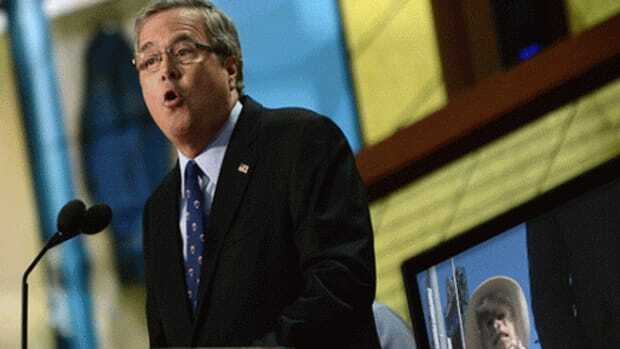 that he plans to pursue the possibility of maybe looking into running for president in 2016, presumably because 500 mg. gorilla Rob Portman is out of the way. 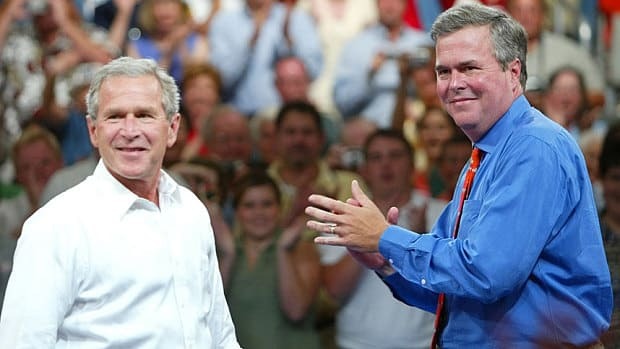 The faux-nouncement makes Jeb the first major candidate to kind of declare their candidacy, which gives the media and opponents plenty of time to pore over the 250,000 emails he&apos;s dumping, and to rack up fresh gaffes. 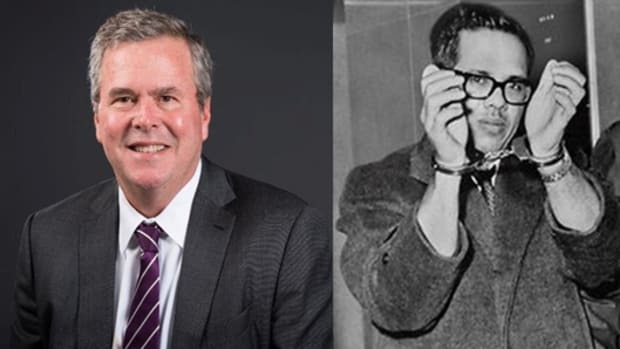 Unlike his famously antiticulate brother, Jeb Bush doesn&apos;t have a very deep catalog of gaffes, but to welcome him to the race, sort of, we&apos;ve collected some of the best. 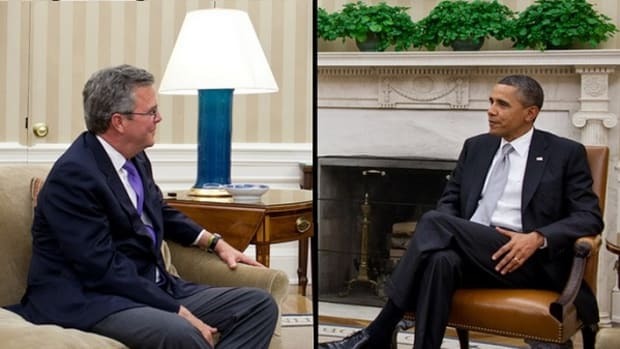 Mr Bush was in Madrid on a trade mission when, paying tribute to Jose Maria Aznar, the prime minister, he said: "I would like to finish by thanking the president of the Republic of Spain for his friendship with the United States." But Spain ceased being a republic when General Franco defeated the Republican side and became dictator. The constitutional monarchy was restored under Juan Carlos I in 1975, after Franco&apos;s death. Ha-ha? Okay, but we&apos;re just gettin&apos; warmed up. "The idea that something that I support, because people are opposed to it, means that I have to stop supporting it, if there&apos;s not any reason based on fact? 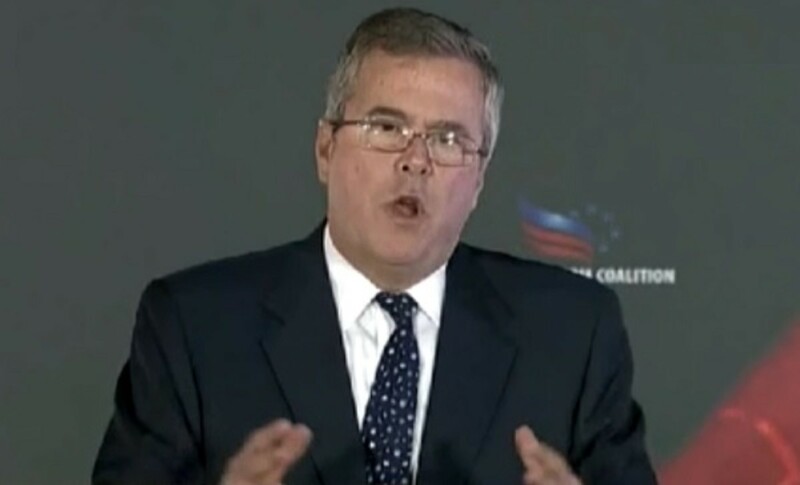 ...I just don&apos;t feel compelled to run for cover when I think this is the right thing to do for our country." Reason based on fact? Why doesn&apos;t he get it over with and just reveal his "Hail, Satan" tattoo. 3. Does Obamacare Cover Stupid? "Yes, they broke the law, but it&apos;s not a felony. It&apos;s an act of love. It&apos;s an act of commitment to your family." Sure, so maybe we should station OBGYNs at the border to help practice their love. “Immigrants are more fertile, and they love families, and they have more intact families." Hmmm, maybe we shouldstation OB/GYNs at the border. 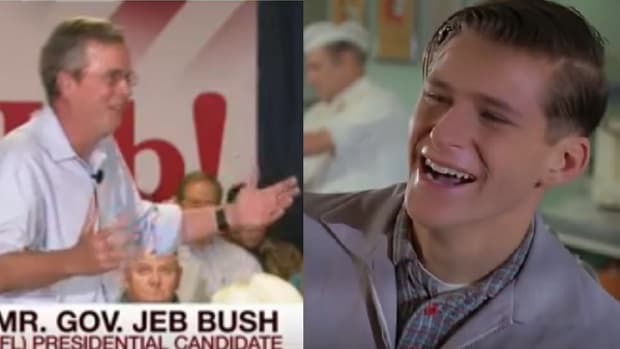 Jeb may be far outshone his brother in the gaffe department, but even Dubya never managed to get his own mother to cut an attack ad against him. 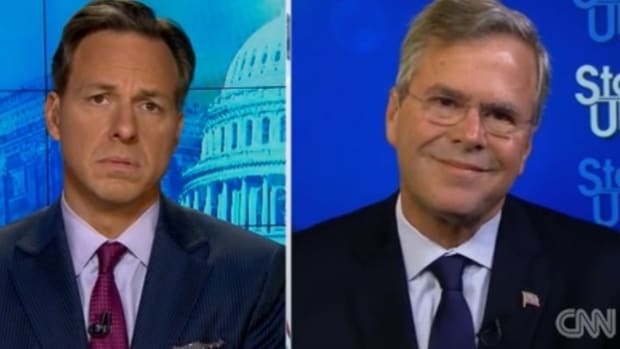 Think this won&apos;t show up in a SuperPAC ad?